A Cycladic marble reclining female figure. 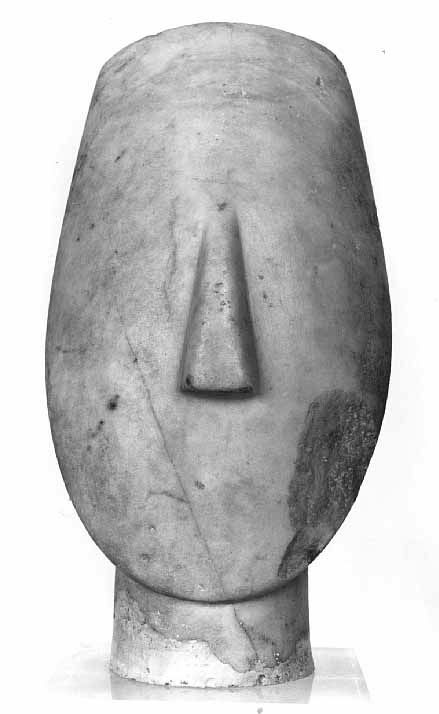 Name-piece of the Schuster Master, Early Cycladic II, circa 2400 B.C. 11 ½ in. (29.2 cm) high. Estimate: $3-5 million. Photo: Christie´s Images Ltd 2010. NEW YORK, NY.- Christie’s announced the sale of a Cycladic marble reclining female figure, the most important Cycladic idol ever to come to auction on December 9. Estimated at $3-5 million, the folded-arm female figure is one of the most iconic sculptural types to have survived from antiquity. 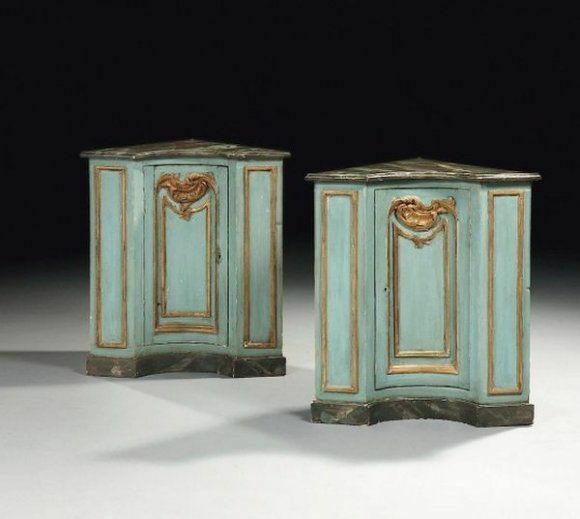 To date, there are only twelve known sculptures that have been recognized as the work of a single artist today known as the Schuster Master, named after the previous owner of the present work, Marion Schuster. Most of Schuster Master’s works represent the female in a pregnant state. Like the sculptures by his contemporaries, the position of the feet pointing down indicates that the figures are meant to be perceived as reclining. 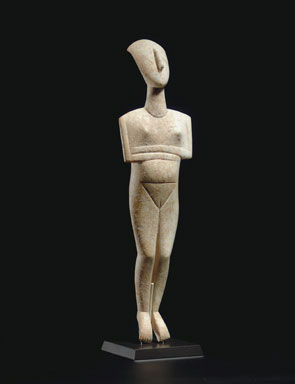 The Schuster Master, who was active circa 2400 B.C., combines characteristics of two main schools of Cycladic sculpture today known as the Late Spedos variety and the Dokathismata variety. This exquisite marble female figure is the only complete work from the Schuster Master to survive. It is carved from a fine white marble with gray inclusions, and has survived in perfect condition. The surface has never been over-cleaned and it still exhibits a thin layer of calcarous incrustation that is typical of Cycladic marble sculpture. The figure has been known since at least 1965, when Marion Schuster of Lausanne, Switzerland, lent it to an exhibition in Zurich, Antikes Erbe: Meisterwerke aus Schweizer Sammlungen. Since then, the figure has appeared in numerous publications on Cycladic art, and in the exhibition, Early Cycladic Art in North American Collections, in Richmond, Fort Worth, and San Francisco. A marble torso of a god or hero, roman imperial, circa 2nd century a.d.
A bi-colored marble head of dionysos, roman imperial, circa late 1st century a.d.
A marble portrait head of the tragedian sophocles, circa late 1st/early 2nd century a.d.
A pair of italian 17th century carved white marble and alabaster fiorito busts of julius caesar and hadrian after the antique.